When Swiss commodity trader Andre & Cie went bust 17 years ago, Richard Elman pounced. He bought its Asian grains business for next to nothing as part of an acquisition spree that would make his own fledgling company, Noble Group Ltd., into Asia's biggest commodity trader within a decade. Elman, 77, has watched another global commodity-trading powerhouse collapse before his eyes over the past year: his own. As spectacularly as Noble grew under Elman's leadership into a company bankers once dubbed a "mini-Glencore," its dizzying downfall was just as staggering. Like Andre & Cie, debts became untenable and trading losses mounted as Noble was dogged by allegations that it deceived investors with accounting tricks. Now with more than $1 billion of debt coming due in the next few months and no way to pay, Noble agreed to hand over the company to creditors in a restructuring deal that will virtually wipe out its shareholders, leaving Elman with a mere 1.8 percent stake in the company he founded. "It's terrible for Richard: this is his child, his dream," said Jean-Francois Lambert, an independent consultant who dealt extensively with Noble while heading global commodity finance at HSBC Holdings from 2010 to 2015. "He put together a super company. But then it got out of hand." 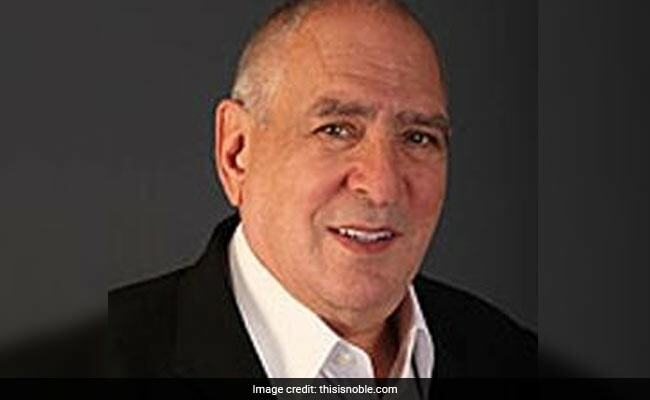 Noble's fight for survival follows a wave of acquisitions in the last decade, paid for with cheap credit, that turned the business Elman started in 1980s Hong Kong as a small middleman supplying Chinese steel makers into a conglomerate operating assets the world over: coal mines in Australia, sugar mills in Brazil, American fuel terminals. Elman named his company after James Clavell's 1981 novel "Noble House," a fictional tale of a colossal trading house in 1960s Hong Kong. Elman's attempt to construct a real-life empire on borrowed cash ultimately unraveled. The Singapore-listed trader was scrutinized for booking income on future contracts at unrealistic prices. Combined with a number of poor trading calls, Noble spiraled downwards. Once surpassing $10 billion, its market value dropped to just $263 million on Monday before shareholders learnt their stake in the company would be diluted to 10 percent. "Everybody was looking at Noble becoming the new Glencore. I didn't like it," recounts Lambert, referring to the $84 billion Swiss commodity giant. Rather than "building the culture gradually and then move to other businesses," he says Noble expanded too quickly into new businesses, specifically energy. The story of how Elman, a British high school dropout, climbed to the top of the commodity trade started at the bottom rung. At 15, he labored at a scrap-metals yard in Newcastle. He was running the yard soon after, honing skills in buying and selling metals that eventually took him to San Francisco, then Japan. In the early 1970s, Elman founded Metal Ore Asia in Hong Kong and sold it to his next employer, Philipp Brothers, at the time a global commodities giant. While heading Phibro's Hong Kong operations, Elman sensed Asia was on the cusp of a major turnaround and plowed $100,000 of his savings into opening Noble Group in 1986 to prepare. His instincts were right: Chinese growth averaged 10 percent annually for two decades and, by 1995, Noble supplied over a quarter of the nation's chrome imports. "We could see the demand that was going to explode as China and India developed," Elman said in Noble's 2016 annual report, recounting how he'd grown "accustomed to friends patiently listening to my dreams for Noble while rolling their eyes." Ignoring skeptics, Noble's intrepid protagonist devised a strategy to turn his nimble trading firm into a global behemoth operating assets on six continents. He bought a coal business from Phibro in 1996 and the following year Noble was listed on the Singapore Exchange. By 2005, with the Andre & Cie acquisition under his belt, Elman boasted that Noble was handling a quarter of global coffee supplies, half of Russia's cocoa imports and five percent of the world's thermal coal. Often sporting an open shirt with a chunky Chinese bead bracelet dangling from his arm, Elman was a real-life equivalent of the trading moguls described in Clavell's rollicking 1,300-page fiction. He wrote folksy letters to shareholders in Noble's annual reports, sometimes comparing himself to Warren Buffett. At one point, Elman presided over a staff of 15,000, a figure that's since dwindled to less than 1,000. "We are in a position to be the best in the world, and amongst the biggest," Elman told shareholders in 2010, as profit touched $605 million from $21 million 10 years earlier. With all the buzz around his business, Elman spent $2 billion in 2009-2010 snapping up assets, surpassing the prior 20 years combined. Banks and investors were happy to oblige with cheap cash. After all, S&P Global Ratings had just promoted Noble to investment-grade and China Investment Corporation, Beijing's sovereign wealth fund, bought a 15 percent stake. Noble quadrupled net debt by 2013 to more than $5 billion. Then the plot Elman had carefully crafted started coming undone as subdued commodity prices, slowing Chinese growth and waning profitability made Noble's debt burden look a lot less workable. The tipping point was in February 2015, when an unknown analyst group called Iceberg Research published scathing critiques of Noble's accounting, warning some earnings wouldn't materialize and the trader would be short on cash to settle debts. Iceberg drew comparisons with Enron, the American energy company that went bankrupt in 2001 after an accounting fraud. Noble's methods were entirely legal, even if many rivals avoid booking income on forward contracts so as not to inflate the value of employees' equity. The company dismissed Iceberg as the work of a disgruntled former employee and sued, only to months later to write down $1.2 billion mostly from long-term coal contracts it had booked at an excessive price. Investors fled, and short sellers like Muddy Waters LLP turned their fire on the trader. Noble's stock slumped 67 percent in 2015, 45 percent in 2016 and 87 percent in 2017. Global ratings companies downgraded Noble's credit deeper and deeper into junk. As its fortunes turned, Noble desperately tried to stay afloat. It sold assets, including the agriculture unit it built on Andre & Cie's foundations. It convinced banks to extend $3 billion in new credit in mid-2016. China Investment Corporation even bought new shares and, in March 2017, Noble raised $750 million selling junk bonds. But within two months, Noble shocked investors again with a $129 million loss from a hedging bet on coal gone wrong. Its creditors were furious, especially since rather than owning the mistake, Noble blamed it on a "dislocation" between market prices for physical coal and the contracts used to insure them. The loss of its creditors' confidence deepened Noble's plight. It reported losses of more than $3 billion in the first nine months of 2017 as the company wrote down the value of its assets and contracts. Asset sales continued, including crown jewels like its U.S. oil trading business. But rivals understood its desperation and the sales netted less than Noble had hoped.With $1.5 billion in debt to repay in the first half of 2018, Elman -- still sitting on the company's board as chairman emeritus -- was left with no choice than to bow to the will of Noble's creditors. Before Noble's bleak denouement unfolded, Elman had struggled to hand over the reins. The company had five CEOs in seven years as he tested different successors, from Tobias Brown, a veteran in Hong Kong finance, to Yusuf Alireza, a star Goldman Sachs banker with no commodities experience. Each brought a different vision -- and each flopped.When Elman finally did transfer day-to-day running of Noble last year, it was to Paul Brough, a restructuring specialist who helped to liquidate Lehman Brothers. Addressing shareholders during Noble's heyday, Elman had described building his company as "the one experience I couldn't be prouder of." Unlike the fictional Noble House where main character Ian Dunross ultimately succeeds at navigating his business through turbulence, Elman won't get to decide how the final chapter of his version plays out.